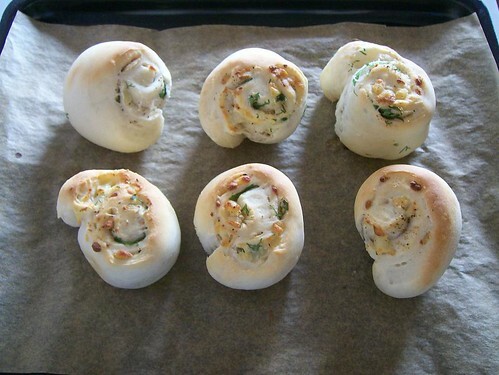 Thats a grt way to use up pizza dough! Wow thats very innovative to utilize the left over pizza dough. Nice recipe. :)anything with cheese works for me!! Cute! What a decadent breakfast. Love the rooHad seen something similar in a recipe book. The rolls had a tallegio cheese and sage filling and we served with soup. I've been eyes them for a bit now.